Ubuntu 16.04 is now available on IBM LinuxONE, System z12 and z13 providing an idea platform for developers using IoT applications. Ubuntu is the platform of choice for organisations running scale-out, next-generation workloads in the Cloud. Ubuntu dominates public cloud guest volume and production OpenStack deployments with up to 70% market share. Global brands running Ubuntu at scale in the cloud include AT&T, Walmart, Deutsche Telecom, Bloomberg, Cisco and many others. IBM’s LinuxONE and the z Systems product lines are recognized as the most secure, most reliable, most available and most highly utilized server platforms hosting vast quantities of the world’s business critical data. Running Ubuntu on LinuxONE/Z providers an ideal platform for developers, who already use Ubuntu for IoT applications and other new workloads, as it provides the same operating system and tools on the backend as they are using on the edge. 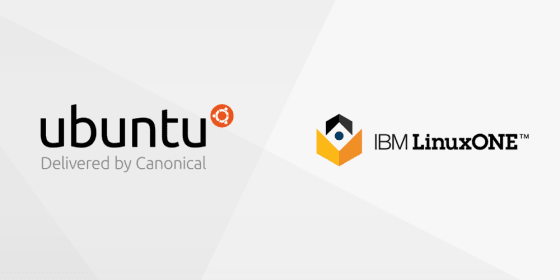 In a joint partnership with IBM, Ubuntu will be bringing IBM’s LinuxONE and Systems z12 and newer product lines to the Cloud with the general availability of Ubuntu 16.04 on April 21st. In the meantime and starting today, we are pleased to invite IBM LinuxONE, System z12 and z13 customers to download and try out a technology preview beta of Ubuntu 16.04 on those platforms. Download Ubuntu 16.04 beta for LinuxONE now from our Partner portal.